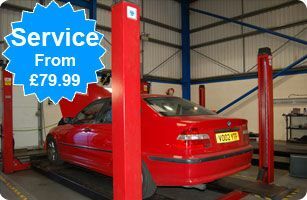 Welcome to Brackmills MOT Centre Northampton, we provide a state of the art Mot testing service that is quick, efficient and very accurate giving you peace of mind that once you are presented with your pass certificate, your vehicle is in optimum Ministry Of Transport regulations condition. We also provide high standards of services including diagnostics, exhausts, brakes, servicing, wheel alignment, suspension, clutches, air conditioning and a fast reliable tyre fitting service., click any of the icons above for more information. 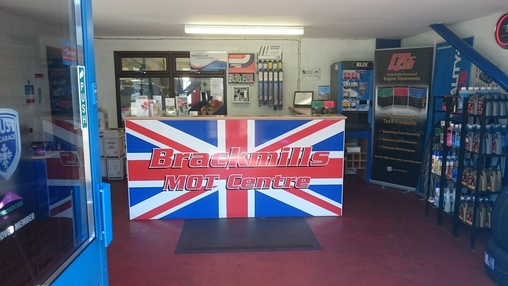 Brackmills MOT Centre is based in Northampton just off the A45 (Nene Valley way). You can either put the address at the top of this page in to your SatNav or click the mail icon above to go to our contacts page and use the directions feature on our interactive map. 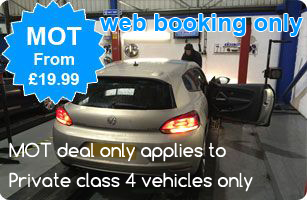 Brackmills MOT Centre Northampton offer beneficial services that can save you time and money! Most modern vehicles with independent suspension all round, must be set up correctly otherwise it's handling, braking and steering could be greatly affected if not done properly not to mention premature tyre, or even suspension components wear, here at Brackmills MOT Centre have invested in top of the range equipment to enable us to perform this task correctly, call for further information. Here at Brackmills MOT Centre, All our Technicians are ''F'' Gas accredited to handle refrigerant safely, we can Diagnose you air-con system, repair any leaks and ragas the system, we also offer a full air con service which includes an anti bacterial treatment to your air-con system killing any harm full bacteria that could be larking in your air-con system, call us for more information. The braking system is one of the most crucial systems on a vehicle so when it comes to it don't put it off your life depends on it! Here at Brackmills MOT Centre, we can service, repair and replace all braking systems be it mechanical, hydraulic, Air or electronic i.e ABS, Traction Control, Stability Control systems etc, ring us for further details. Having an effective clutch will make your vehicle more fuel efficient as drive is transferred from the engine to the gearbox without any weak links, we can replace clutches with good quality or even genuine parts if preferred at competitive prices, call us for further information. Here at Brackmills MOT Centre our staff are all Manufacture trained and have ongoing training on various complex vehicle systems, we have an extensive range of latest Diagnostic equipments to enable us to diagnose your vehicles complex systems in depth, weather you have a warning light on or not we can perform a full Diagnostic health check and let you know what's going on at a fraction of a price from main-dealer prices, try us! 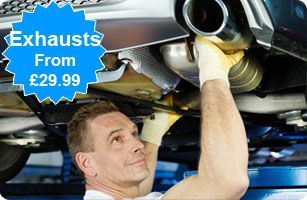 Here at Brackmills MOT Centre we can repair or replace all vehicle exhaust systems with genuine, pattern or upgraded stainless steel systems, including cataleptic converters and Diesel Particulate Filters (also known as DPF's) regeneration or replacing, call us for further information. Here at Brackmills MOT Centre, can service, maintain and repair your vehicle to the highest standard we can offer, we have invested heavily on equipment and tooling to enable us to provide a one stop shop for all your motoring needs, give us a ring and see what we can do! Here at Brackmills MOT Centre we service all types of vehicles to maintain it's optimum performance, smooth running and future resale value, Since the introduction of block exemption which allowed for increased competition to main dealer servicing, we can now service your vehicle giving you a saving of up to 50% reduction against the cost of main dealers, we'll maintain your vehicle without affecting it's manufactures warranty, we use good quality parts and lubricants or if your vehicle is still under manufactures warranty we recommend to use genuine parts to keep your warranty valid, we thoroughly check your vehicle's health as part of the Routine Maintenance Checks to make sure your vehicle is well looked after, We pride ourselves on ensuring that you and your vehicle receive the very highest level of care and service we can offer. Today's vehicles with complex suspension systems require professionalism and good knowledge to be able to repair or replace, here at Brackmmills MOT Centre we understand all different type of suspension systems to be able to repair or replace, we also offer 3D Laser four wheel alignment. 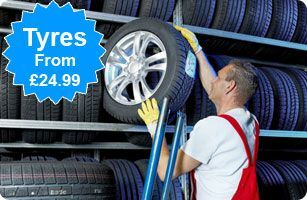 We supply and fit new budget, mid range and top branded tyres at competitive prices, all our tyre fitting price includes tyre, balancing and disposal charge of old tyre, call us for more details.